You are here: Home » Category: "Children’s Islamic Library Activity Days"
Last week, we got together and got our paints and brushes out! Here is the Powerpoint used. If a friend took your phone? Then you try and take it back and she kicks you? And goes to the teacher to tell on you. What if the teacher then puts you in detention? You go to court but you keep getting told you’re the one whose fault it is? Most rightly said they would feel hopeless and couldn’t understand how such a gross injustice could take place, and were shocked when we explained that unfortunately such injustices do happen – for example in Palestine. They then brainstormed ways they could act against this injustice in a peaceful way – such as protests, petitions, use of stories, media and ART. We then introduced different art works that people have used to spread awareness of injustices of things like Palestine, but also Syria and the refugee crisis, the current event of Marzieh Hashemi and even hijab. We reiterated the aim of using our voice through art to make a peaceful stance against injustice, using Imam Hussain’s words: ‘I only desire to spread good values and prevent evil’. The children then brainstormed issues that were close to their heart, then chose one and brainstormed further on ideas of what to draw/paint on that topic. They then drafted it out and went on to do it on canvas. We were very impressed with their thinking and the wide range of art they produced. We had a fantastic rock painting session last week for the 5-9 yr olds. The first rock was the rock of good habits. The children discussed and thought of a good habit they wanted to instil in their life. This was then painted on to their rock with the number 40. Reminding them that it takes 40 days for an action to become a habit. They would then keep this rock in a place they would see everyday as a reminder to make that habit a rock in their life. The second rock had a little twist. We painted and decorated this rock with the words #mymosquerocks #hujjat after the rocks had been varnished and dried the children got to hide them outside around our centre. The idea that when you come to the centre you bring a rock to hide, maybe you’ll find a rock which you can keep or re-hide for someone else. Building a connection with our centre. The last rock was for our mums, sometimes when the children are at school their mums really miss them so the children painted their names on their last rock for their mums to keep. A reminder that even us mums need that our children are also rocks in our lives! Alhamd the Quran Gameshow event came and went with a bang! The session started by describing the powers of the H.Quran and reading a story called ‘Q-Man and the Cat’ by A14 Publication. Questions included rolling Play dough on Arabic letters flashcards, matching animals mentioned in the H.Quran to their Arabic names, sequencing the Arabic letters, completing a Quran word puzzle and much more. All teams performed brilliantly well taking away lots of new interesting information about the H. Quran! The children were separated into groups of 5 and set about completing 6 tasks. They all scored very highly! Then we had a quiz, with all 5 groups competing against each other. They received a token for every right answer. When there were no more tokens left, they could take a token from a competitors table!! At the end, all the tokens were added up and put on the scoreboard. The winning team was Red! The children had great fun and worked really hard with their teams, it was great too see everybody having a chance to join in. The children were treated to a good old fashioned game show with buzzers and all! They were split into 4 groups and each group had a chance to play each other. The top 2 then went on to the finals where they played Who Wants to be a Winner. Lots of fast fingers and fast answers won the day! On the 12th of July, we were honoured to have Sr. Zohra Tejani come in and run an interactive workshop on Sura Rum! The ‘game board’ was built as we worked our way through the verses of Sura in a very visual, fun way! And then at the end the group was divided and each group made their way across their board, trying to reach the top without getting caught by snake! 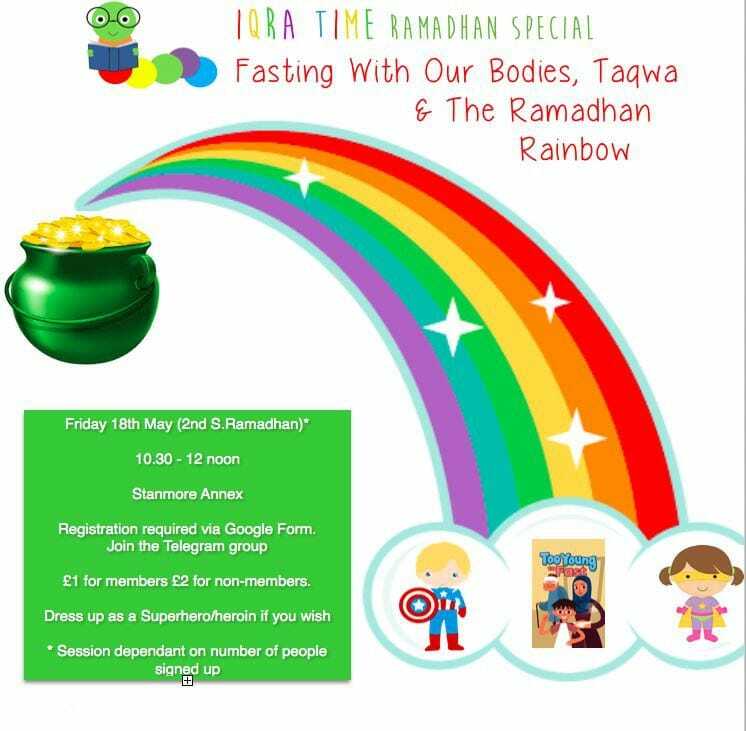 All in all an educational and fun evening – a perfect way to get acquainted with the Sura! 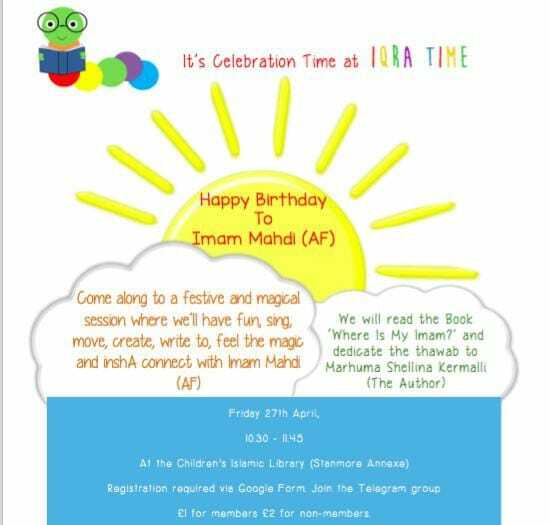 In 2017, the Children’s Islamic Library introduced Iqra Time! 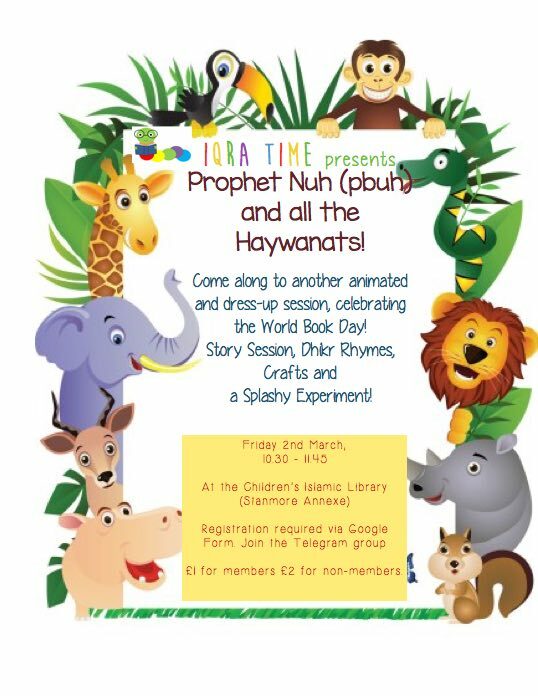 Led by Aaliya Mavani and especially for little ones, the sessions include rhymes and crafts. On Thursday, the 30th of November, Iqra Time held a Hassanah Hunt. It began with rhymes, a little Hassanah Hunt and then crafts. For the Hassanah Hunt, 5 things were used: Toothbrushes, a smiley lamp, pomegranate, perfume and shoes. See captions of pics for the words for the hunt. The session was finished with crafts using a variety of media – sticking, sprinkling, ripping, etc. All kids were given a fun toothbrush to take home! We had lots of fun learning about B.Fatima (as) on the 12th of January, 2018 at Iqra Time! There were rhymes, an interactive story board (see pics) and crafts. 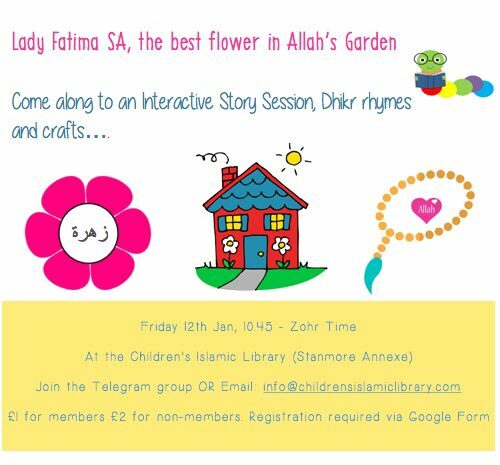 The crafts included making a flower with B.Fatima’s names, Tasbih making with pipe cleaner and beads and Tasbih dot sticking. On the 26th of January, 2018, at Iqra Time, we stomped like elephants and even tried on a Jewish hat with Payots just like our Jewish brothers! 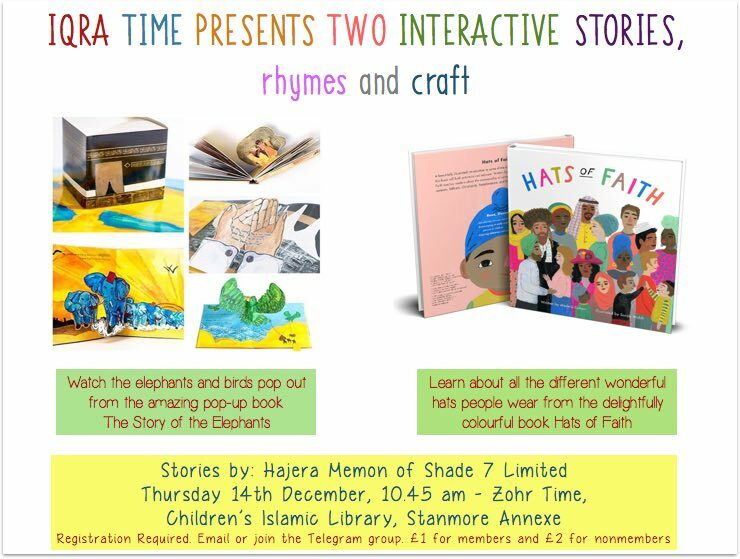 Thank you to the very talented Hajera Memon of Shade 7 Limited who shared two of her amazing publications – S.Feel Pop Up book and Hats of Faith. 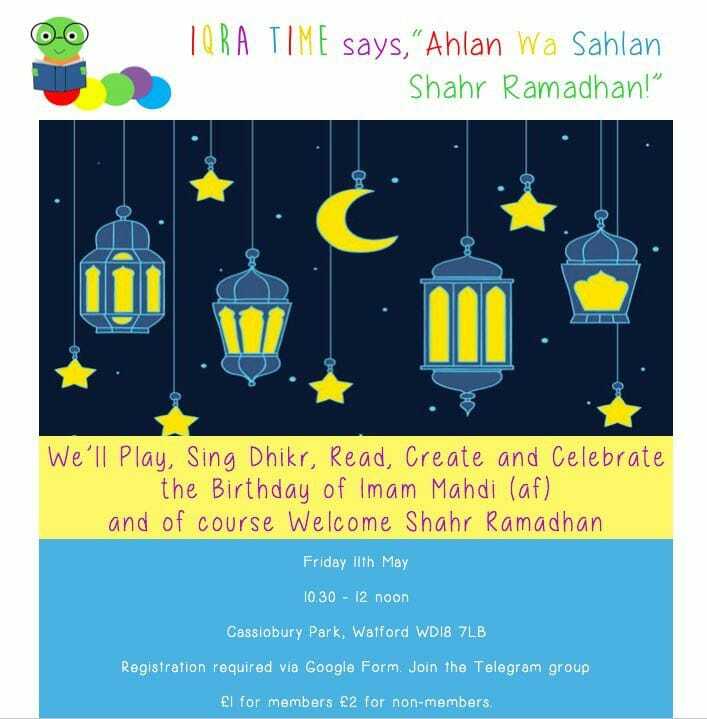 The session started with Dhikr Rhymes featuring our Stomping rhyme to mark the event. There were stories, matching game from Hats of Faith and a blowing craft. Some little posers were even caught on camera! At the very animated Iqra Time on the 9th of February, 2018, we looked at feelings and how Allah knows All About Us and Our Feelings! 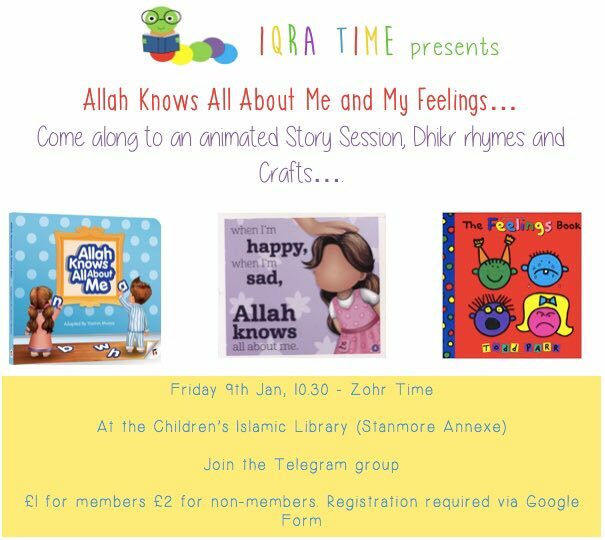 There were dhikr rhymes, Iqra books and a Big Feelings cup craft with faces and Allah’s Dhikr to help that feeling! Two books were read: The Feelings Book by Todd Parr and Allah Knows All About Me by @learning roots* We learned how our body – our eyebrows, eyes, mouth and shoulders – look when we’re feeling Happy, Unwell/Hurt, Mad/Impatient and Sad. 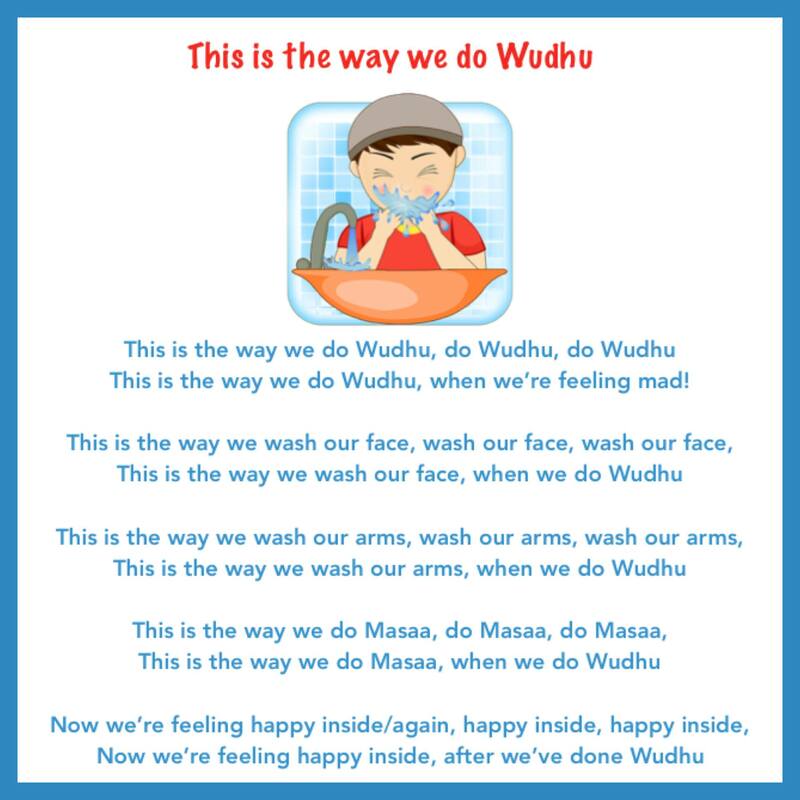 Also learned that Wudhu helps us calm down. Friday 2nd March, 2018, was a blast at Iqra Time! We had roaring lions, cheeky mice and playful pups to sail aboard P.Nuh’s ark! A splashy experiment and rocking craft reinforced how we need to always Listen, Obey and Trust Allah SWT to be safe. 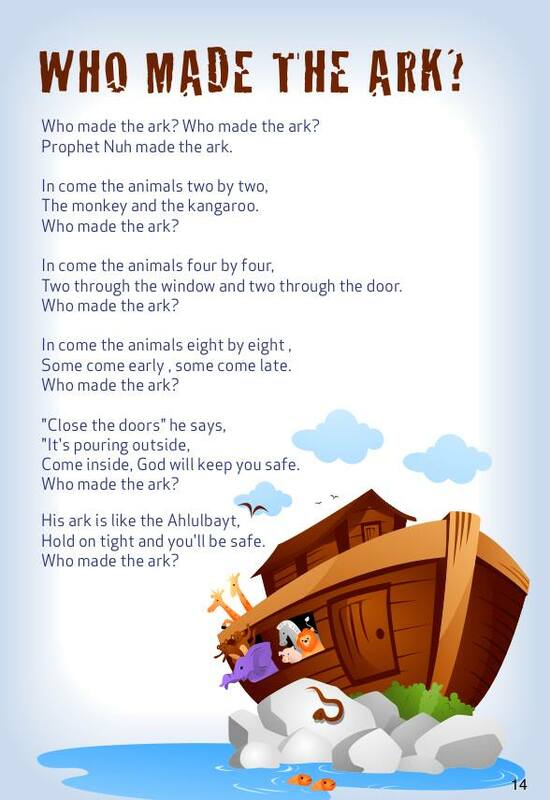 We sang our Dhikr rhymes, read the story from Learning Roots rhyming story perfect for little ones called ‘The Story of Nuh’ and our special rhyme was from QFatima‘s awesome collection of rhymes for kids. 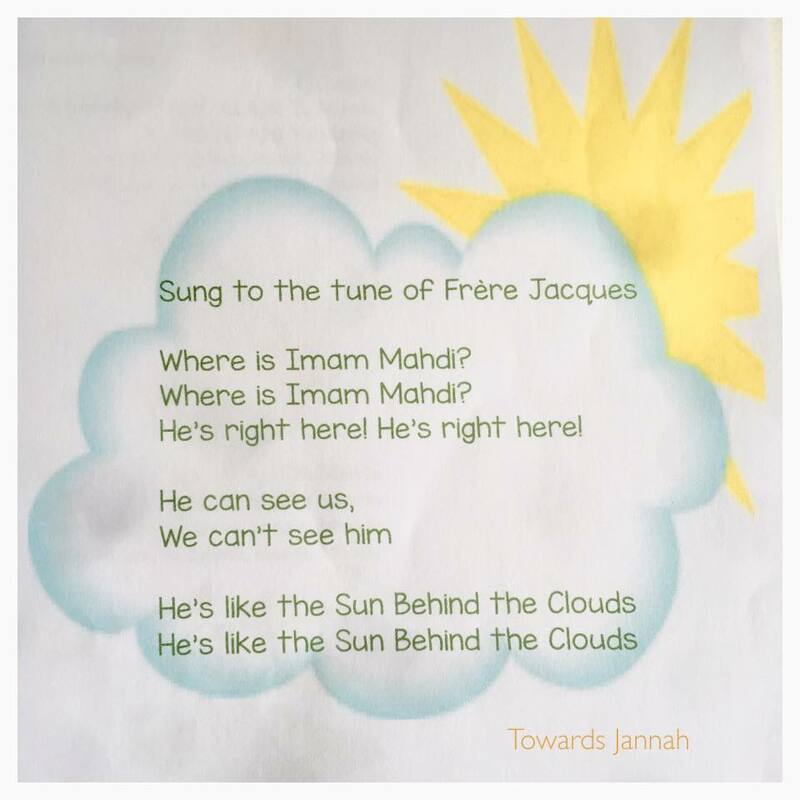 Extracts from The Book ‘Where is My Imam?’ By Marhuma Shelina Kermali was retold. Although the party and Show and Tell was postponed until the next session, we enjoyed doing our magical craft which hopefully really emphasizes the whole ‘Sun Behind The Cloud’ concept! Invisible paint (lemon juice) was our magic potion that was painted on the sun. And when there are enough GOOD DEEDS and PEOPLE to *warm up* this world (use a heat source eg iron, hair dryer, oven under caution) the Golden Sun just like our Imam (af) will InshA appear! Lemon juice once dried is invisible on paper but when subjected to a heat energy is oxidized and appears yellowish Golden Description: Cotton wool for clouds and Rainbow strips with all the good things Imam (af) will bring to this world. We cant wait! Al Ajjal Al Ajjal O Imam! Alhamd! We had our little party in the park today, on the 11th of May, 2018! It was exciting to see some Show & Tells, we had an Areeza and a picture of Masjid as Sahla. Then we welcomed the holy month of Ramadhan with the book ‘My First Ramadhan’, had a sweet Oreo treat to learn about the moon we’ll be looking for InshA! • Blue – no fighting or quarreling! We made wrist and ankle cuffs and masks to remind our bodies to not do bad and we need to complete our Ramadan Rainbows so we can get lots of good deeds! A special superhero magnetic clip was made to keep our rainbows visible and safe! The famous Head, Shoulders, Knees and Toes song got a whole new meaning with this powerful starting verse “We can fast with our….Head, Shoulders, Knees & Toes…” It was a super charged day! ZAPP POW! Alhamdulillah we had a successful Creative Writing workshop over the half-term, inspired by the life of Lady Fatima (as). Thirty 5 to 7 year olds began by listening to the story of Maryam’s Doll (in Adventures of a Qur’anic Family by Sun Behind The Cloud Publications Ltd), which is the story of how Maryam is inspired to give her favourite doll away because she remembers how Bibi Fatima (as) did so with her wedding dress. We discussed the verse 3:92 – Lantanalul Birra – which talks of giving out of what we love the most. The children then split into two groups and began by writing down 6 things they loved, followed by 6 things they shared. The two were compared and discussed, making them think about whether they would share the things that they loved, like Bibi Fatima (as). They then went on to make a craft which showed the story of the poor man at the door, and allowed the children to move Bibi Fatima (as) across the page to open the door, then back to where her dress was, and then back again to give the dress away. They were encouraged to use this craft to relay the story to their friends. Finally, they were then invited to write the story in their own words. They were extremely attentive and enjoyed this very much! Twenty 8 to 11 year olds went upstairs to work with Zayn Gulamhussein, a teacher and tutor with years of experience. They too were introduced to the story of the wedding dress and then asked to begin thinking of a story along those lines, entitled ‘The Pain of Giving’. Using a worksheet to help them plan their story, along with some creative writing games, they were well on their way and managed to write up some original and well thought out short stories by the end! Over the Christmas break, we had the honour and pleasure of having Khayaal Theatre present the story of Prophet Isa and other stories. As is evident from the pictures, the audience were captivated by the range of tools used by this amazing theatre to make the stories real and engaging! 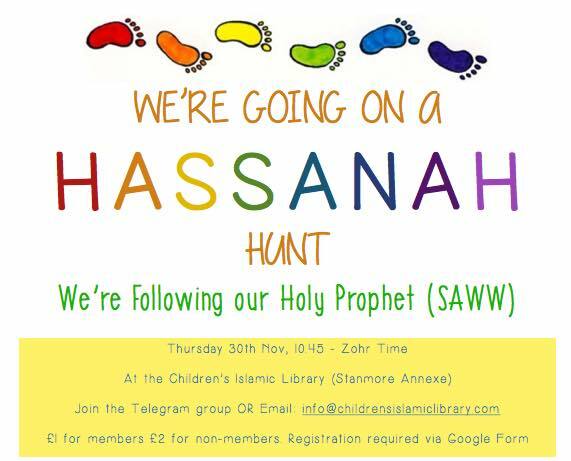 Hajj Day at the Children’s Islamic Library! Aim: To make them understand the effect of the RIGHT Niyyah – Those that hope to get closer to Allah SWT by doing the RIGHT NIYYAH will find it easy to find their way to the RIGHT direction. Aim: Emphasise that Arafaah is all about contemplation and ask for forgiveness. – Ask them to write two bad deeds on the white board. 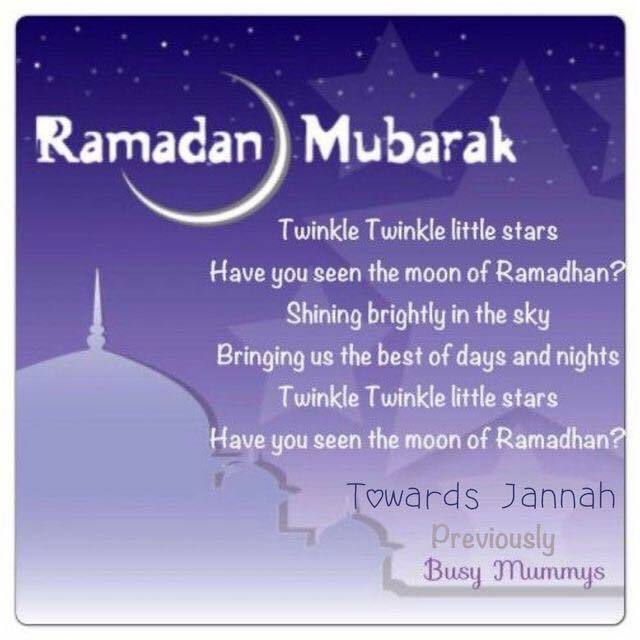 Aim: To prepare our pebbles for Jamaraat and rest under the beautiful night sky. admire Allah’s beautiful creation – The night sky filled with stars and prepare for Jamaraat (pelting the devil). Aim: Think of our actions and pelt away the whisperings of Shaytaan from inside and outside. – They write one (not so good) thing they’ll try to give up for Allah’s pleasure and stick it on the sheep prop. – Do tawaaf around the Kaaba! Aim: Show Maqam Ibrahim and tell them about P.Ibrahim’s footsteps imprinted on the ground when he stood after building the H.Kaaba. After Tawaaf we pray 2 rakaat Salaah behind Maqam Ibrahim. – Go through actions of a 2 rakaat salaah. Aim: To understand that we need to constantly strive in Allah’s way and not give up hope just like B.Hajra! Aim: To get to know other people who also love Allah so much and realise how we are not alone, there are millions of others who are also striving to get to closer to Allah SWT! – Time to socialise and enjoy! Alhamdulillah, we had the Public Speaking workshop and Story-Time session last Wednesday! The 8 to 10 year olds had their session first upstairs with Public Speaker Mentors Safia Tharoo and Sarah Yusufali Fazel. They all had opportunities to come up and speak and read out texts, and then worked on their public speaking skills such as tone, voice projection, etc… They were followed in the second hour by the 11 to 13 year olds. There were also two related crafts for them to do – they could make the apple tree from Prophet Adam’s story as well as make an origami whale from Prophet Yunus’ story! We finished off as always with Story Time – the stories chosen were recent additions to the library and focused on tales of refugees and their struggles, appropriate for little ones to get an understanding of the current situation but without overwhelming them with the details. Stories and books are an essential and necessary medium to allow our children to learn about the world around them! Lastly – Alhamdulillah, the event raised £177 for Yemen!